Written by Ivana McConnell on December 5, 2018 . We were busy in November. We released quite a few improvements to give you more visibility and control over how your messages behave (or misbehave), squashed a few bugs, and (in the case of our American team members) ate lots of turkey! Sending SMS/Push to Unsubscribed Users. Users may unsubscribe from email, but still want to receive messages through Push or SMS. 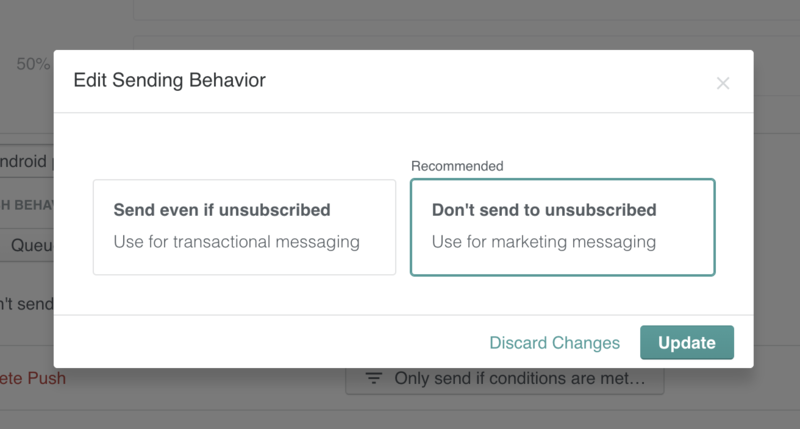 We made it possible to override an unsubscribed behavior when using Segment Triggered Campaigns or API Triggered Broadcasts for non-marketing messages. API Triggered Broadcast improvements. You can now select a specific SMTP server to handle API Triggered Broadcasts, and we also added support for using specific lists of ids to send them. …and we will also show reasons for bounces and suppressions in delivery logs. To our exports, we added failure reasons to deliveries, and sent_at column to newsletter metrics. Some sender identities were being cached across workspaces, causing some draft failures. We encountered a few bugs with redirects on subscription management pages. Sorted! We made it possible to upload people/create imports with duplicate names, by adding a suffix. 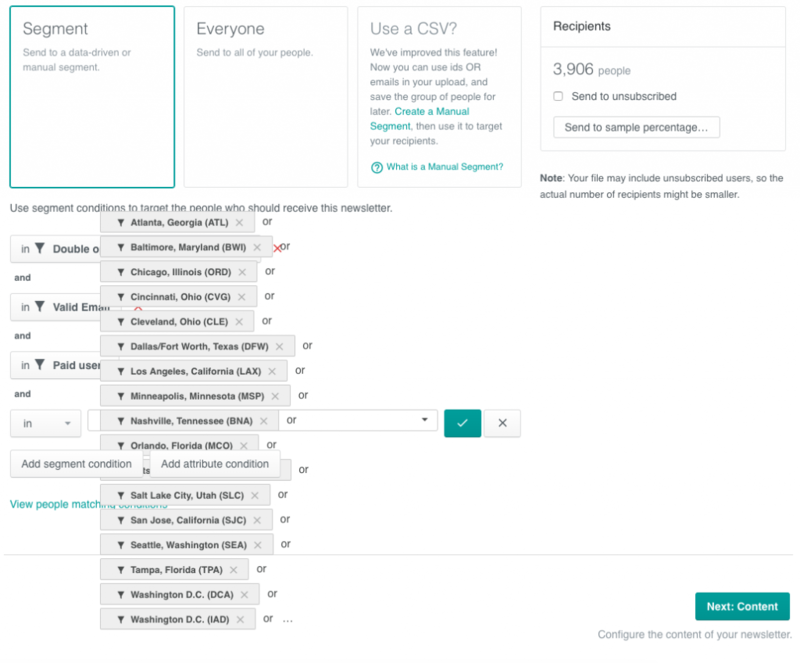 Fixed a bug which meant that customers created before a manual-segment campaign started were not be included when you uploaded them to the manual segment. We’ll see you next month! In the meantime, stay updated with the latest releases and improvements by following Customer.io on Twitter. Questions? Comments? Share them below or send them over to win@customer.io. Contributors: Adrian, Stephen, Matt, Swastik, Kevin, Jatin, Matthew, Joe, Zaf, Ivana, Kristina, Kate, Madeline, Waqas, Ian, Joe, Brian.